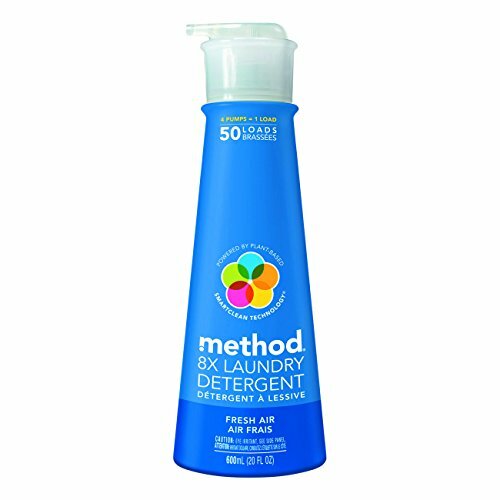 This revolutionary product uses smart clean technology powered by a 95 percent plant-based formula that seeks out dirt and stains to get clothes clean. It's über concentrated (8x, to be exact) which means there's no excess water to get in the way of the cleaning power. No excess water means less energy and resources required to make it, not to Mention less of the laundry jug lug-factor. And this is one very tote-able little bottle: it's compact, designed for easy, one-handed use with a no-mess, precision-dosing pump.